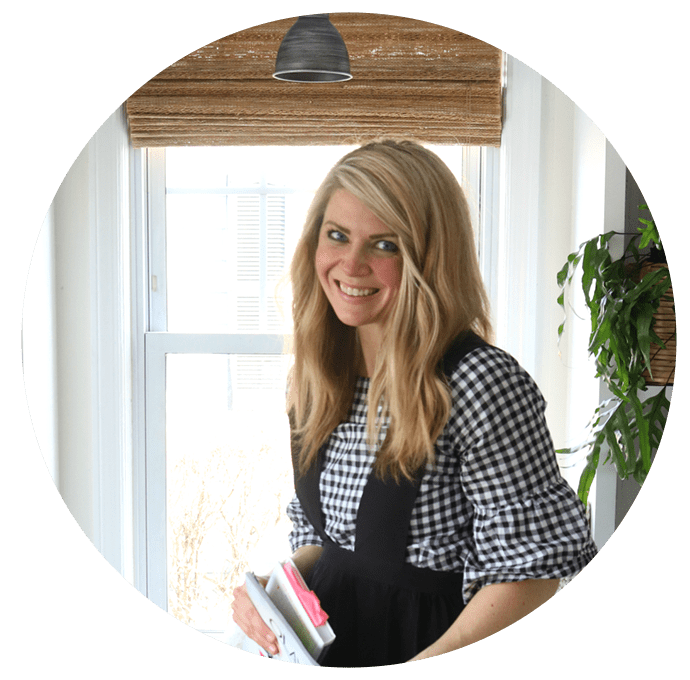 If you are a reader here you know that our house is 1100 square feet. 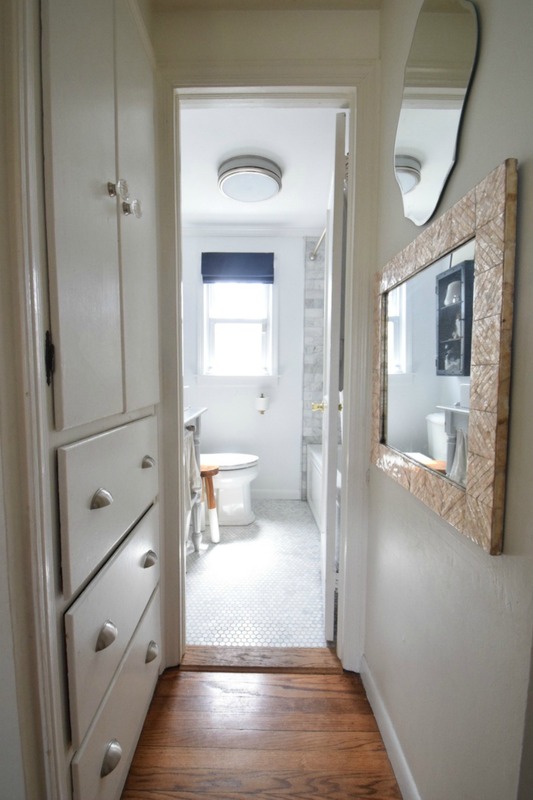 We consider ourselves lucky to have two bathrooms, a lot of the capes in our area and the ones we looked at before buying our home only had one bathroom. Funny how you can change your perspective from not feeling like you have enough room to gratitude when you look at the positive. Although our bathrooms are small I have grown to appreciate them and learned how to make the most of all of our small spaces. We used to have three bathrooms in our Utah home and they were all pretty big. So we have had to learn to find clever places to hide all the stuff! Our biggest bathroom is actually upstairs that the girls and guests use when they stay over. I prefer it that way. We have someone stay with us at least once a month so I like them to have the larger space. And getting ready at different times than everyone else helps too! When we remodeled the bathrooms after moving in we replaced both of the old tubs. Now both bathrooms have deep soaker tubs, that I LOVE, I am a daily tub taker! 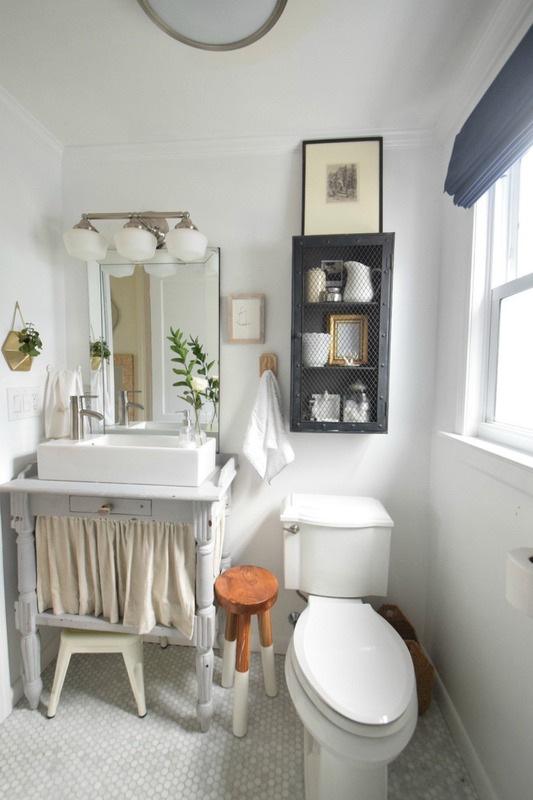 I have some small bathroom ideas for you! We have this nice hall closet that we keep all of our extra towels, blow dryer, flat iron, hair spray, lotions and extra supplies. 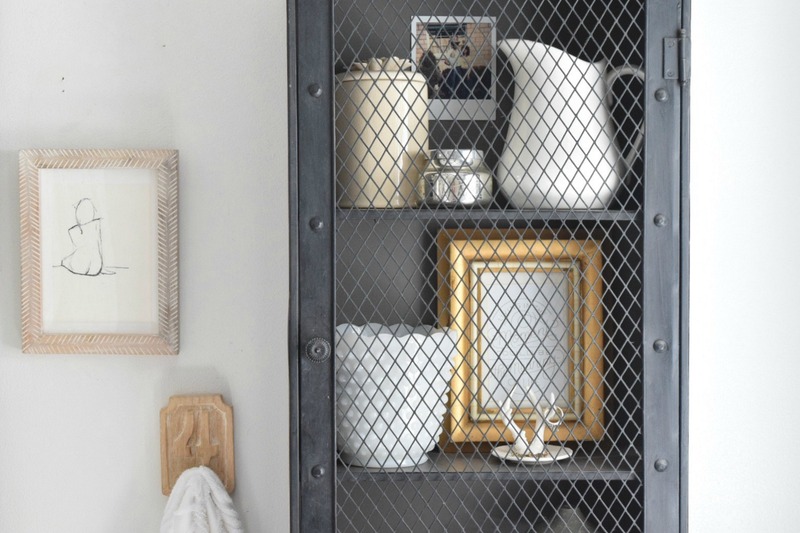 Thank goodness older homes have these built-ins to make up for the size and quirks. I went through and cleaned out the closet this is what I got rid of- lotions we haven’t used in months, stack of towels (because we only use the ones on the top and do laundry quickly) jewelry and earrings that haven’t been worn for a long time. Small Bathroom Idea- Only keep five bath towels in your bathroom. Store any extra in a linen closet or basement for emergencies. We also make good use of the space with mirrors on the opposite side of the closet and right outside the bathroom. That way I can put on makeup or do my girls hair if someone is in the bathroom. 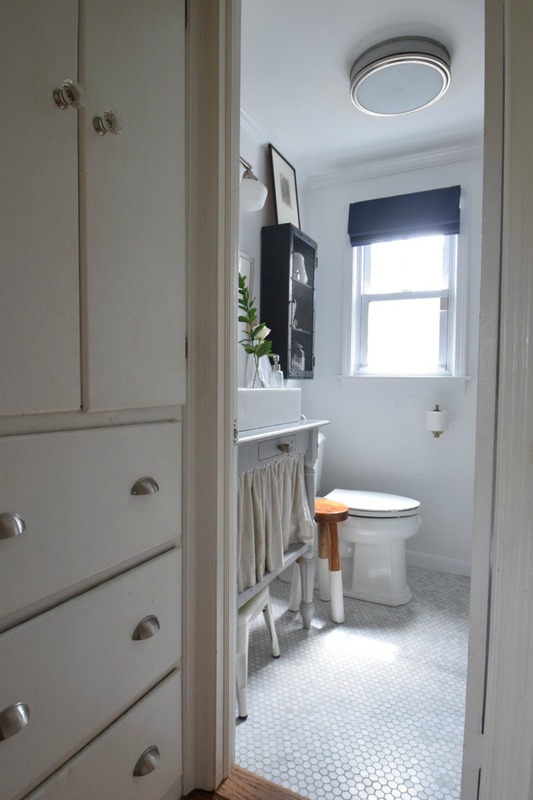 Small Bathroom Idea- Create another area outside of your bathroom to use as a “dry bathroom” station. I also have this medicine cabinet above our toilet for extra storage. This is a big storage solution for us. My husband and I both wear Daily contacts and we were searching for them every morning underneath the bathroom sink. I had a “genius” idea and unboxed them and put the contacts inside some jars in the cabinet. Seriously big happiness boost:) #littlethings! 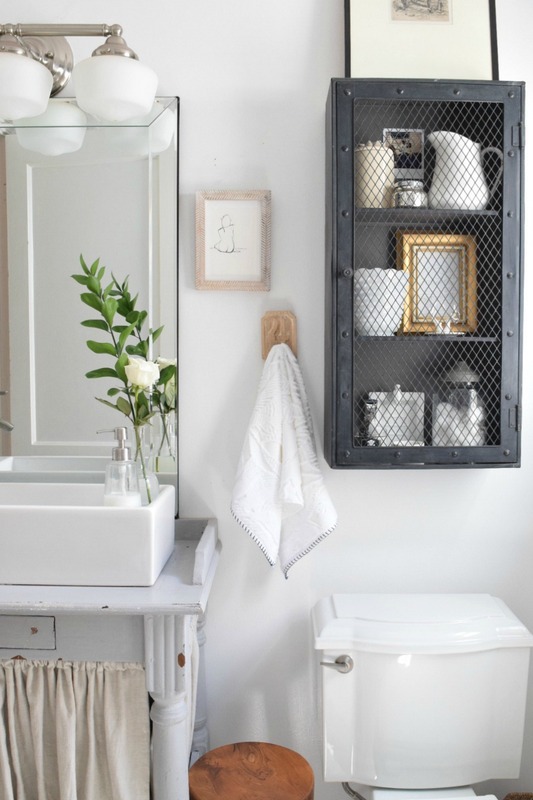 Small Bathroom Idea- Use the walls for storage with shelves or medicine cabinet. (I have had my metal medicine cabinet for years found THIS one on sale). 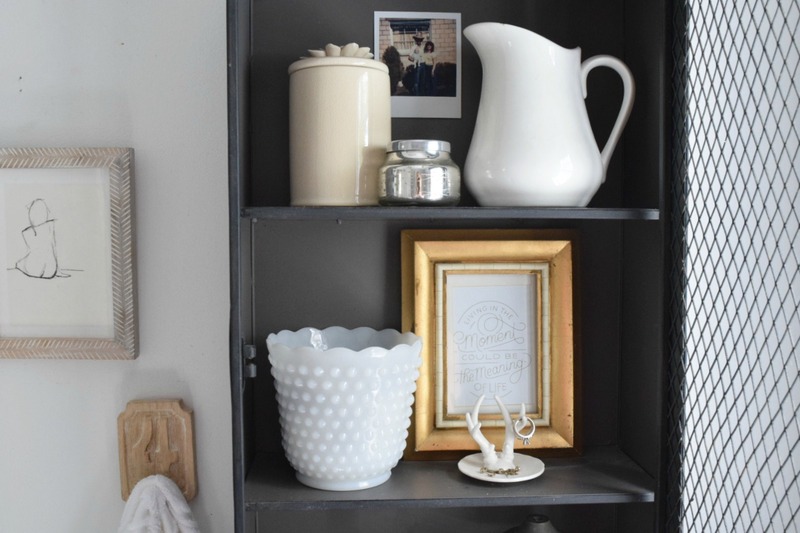 Small Bathroom Idea- Use decorative jars and bowls to store items you use daily and find yourself searching for. BTW- that vanity was my daughters changing table. It was a in-between solution that ended up working really well and stayed! You can read more about it HERE on an older post. We have a couple of stools for the kids to brush their teeth and to sit while hair is getting done. Also another spot to stack towels and store things. Under the sink we keep toilet paper, toilet bowl brush. Also a basket with a washable liner for toothpaste and brushes. 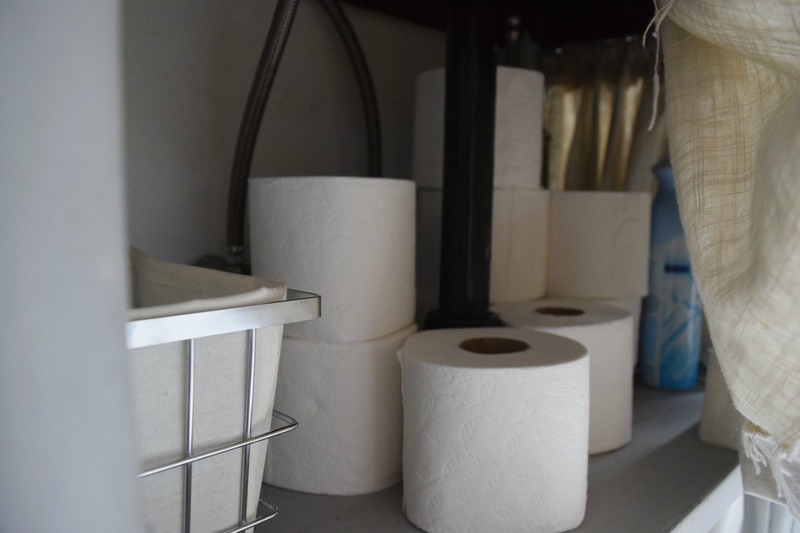 Small Bathroom Ideas- Find a hidden spot for essentials like toilet paper and tooth brushes. Keep your counter tops clean and clear of clutter. Small Bathroom Idea- Use the back of the bathroom door for hooks rather than a towel rack on the wall. This bathroom used to have a lot more color in it. I simply switched out a few of the accessories and the shower curtain to a white and it really made the small bathroom seem bigger. Small Bathroom Idea- Use neutral colors or keep the colors to a minimal to make the room feel bigger. 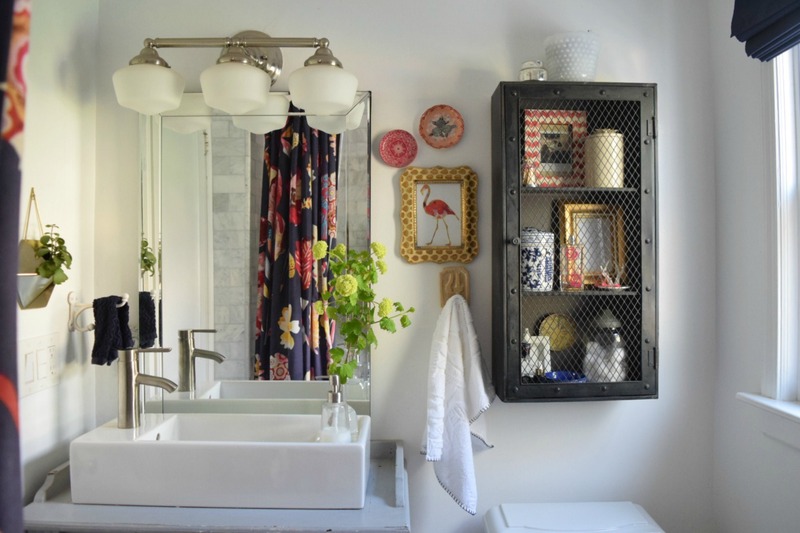 Hopefully that gives you some ideas and encouragement if you are living in a smaller homes with small bathrooms. hey girl- love the bathroom! so pretty! great tips! I love this post about small bathrooms. I have the worst bathroom in the world, but have been too nervous to make any decorating decisions to update it. Please tell me you have found another use for your floral shower curtain. 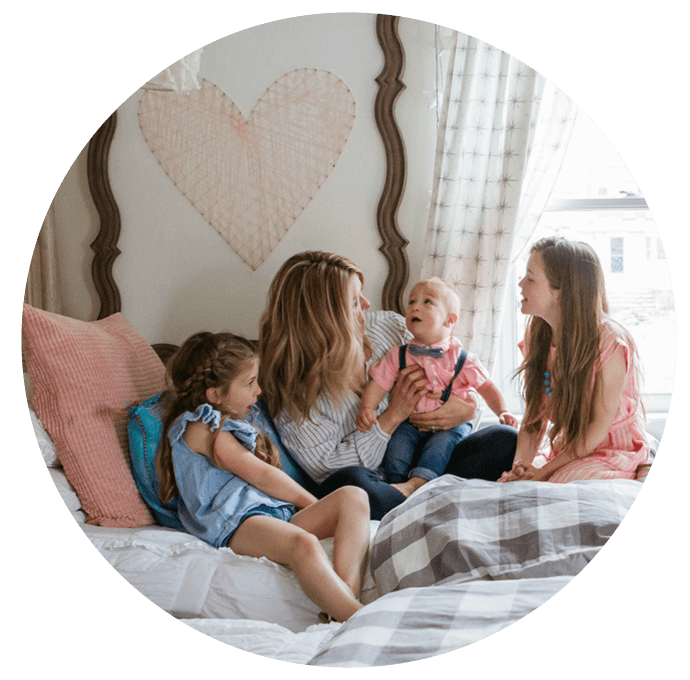 It is so great to move things around in the house for a fresh look! When we remodeled our master bathroom, we did it almost completely in white. And while I love white, I was pretty sure that I’d want to add lots of color by way of paint on the small amount of untiled wall and through curtains and accessories. Nope. 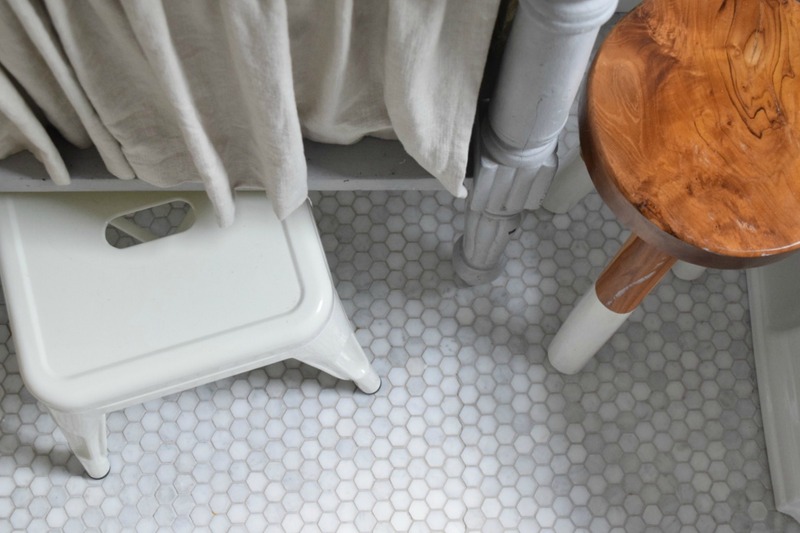 The small amount of untiled wall was painted in a white with the barest hint of putty in it that picked up the undertone of the white subway tile. The curtain is white. The bathmat is one that I crocheted in a salt and pepper colorway out of cotton yarn that picks up the black veining in the marble-look vinyl flooring. 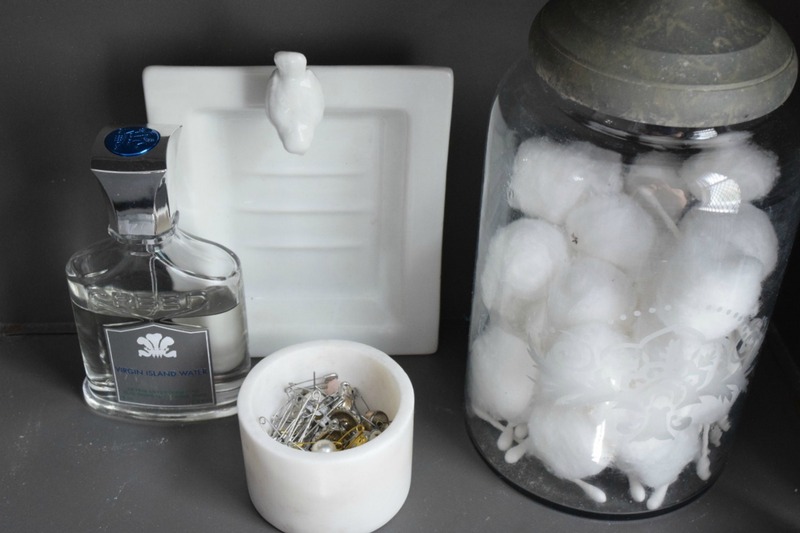 The majority of color comes from plants, a forest green soap dispenser, a blue glass vase, three small blue glass birds and a forest green handtowel. It feels so fresh and bright and clean and relaxing when you walk in there! I’ve yet to be overcome with the urge to add more color! I love your bathroom. The floral shower curtain is nice but the bathroom looks more spacious, to me, without all of the color. 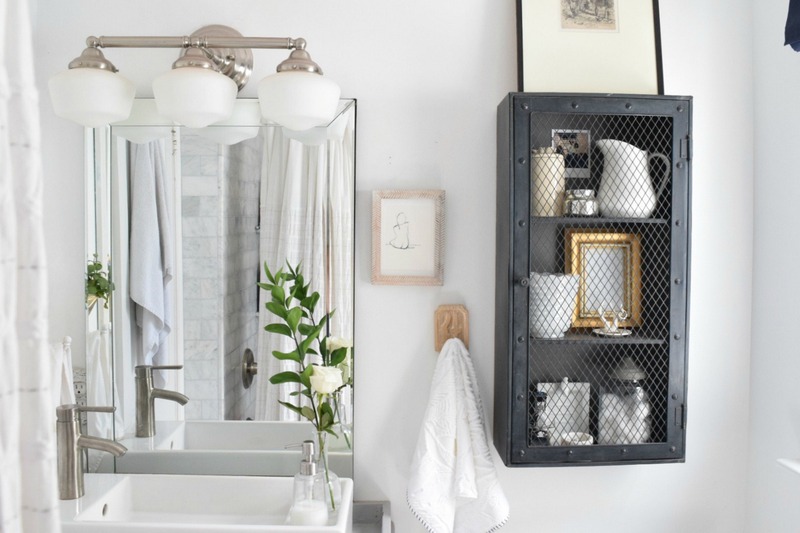 Love the black medicine cabinet and it grounds the room. I love your tip about the contact lenses in glass jars. I too use daily wear and am constantly rooting around in a mess of toiletries for lenses. My tip is that I have decanted our mouthwash into a gorgeous decanter and it looks much prettier on our counter than just a plastic bottle! Thank you! And LOVE that tip! Your house is so charming! 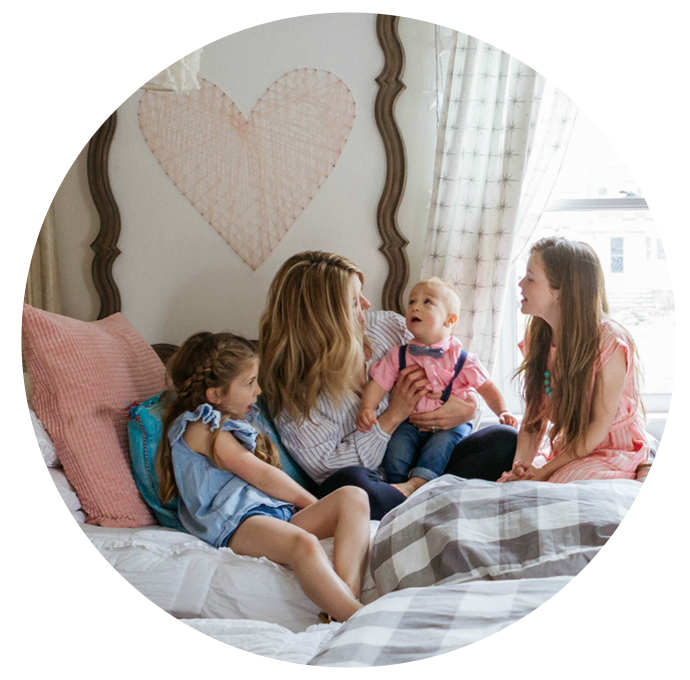 Every single space just oozes with character and gives off a feeling of coziness. Even the bathroom makes you feel like lighting a candle and taking a bath. Haha! Just beautiful! Thank you so much:) it is pretty cozy…thats a good word for it! So cute! 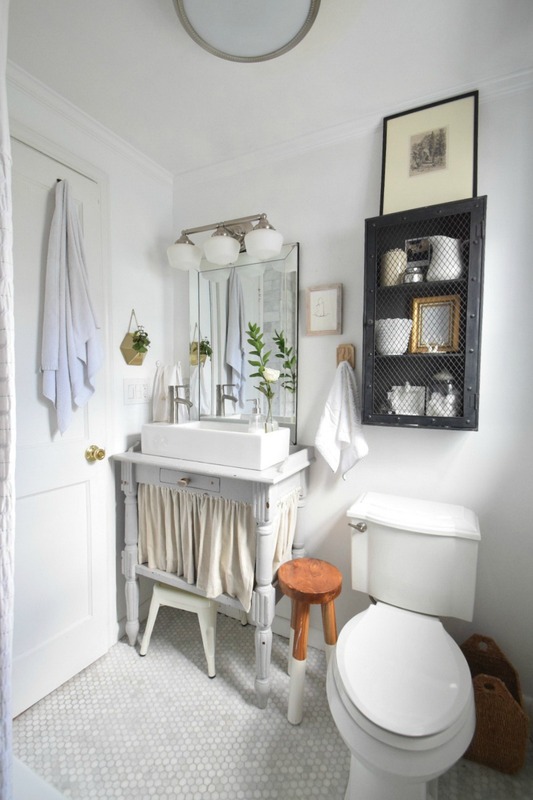 I love your little hand towel hook.. can you give more details on it- did you repurpose something or buy it new?